Log Cabin Switch Plates are available in 3 sizes. 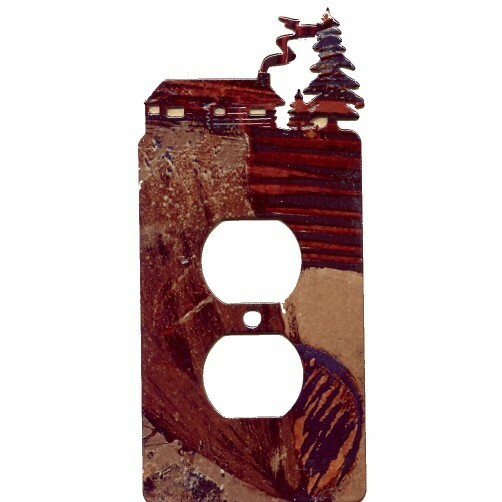 Each plate is precision laser cut metal with rustic fusion finish, which is a durable high gloss finish incorporating random natural color tones of rust, green, beige and taupe. 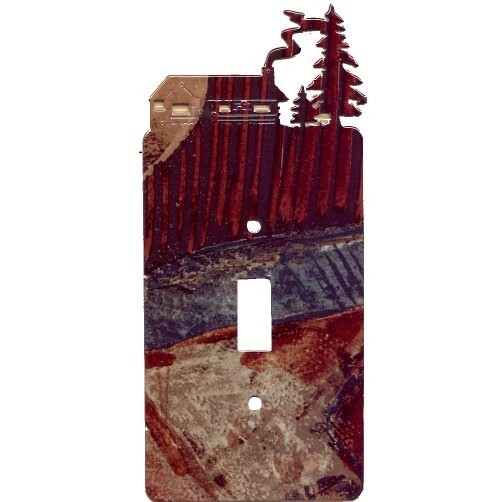 Log Cabin Switch Plates are available in 3 sizes. Each plate is precision laser cut metal with rustic fusion finish, which is a durable high gloss finish incorporating random natural color tones of rust, green, beige and taupe. Color coordinated screws are included with each plate. 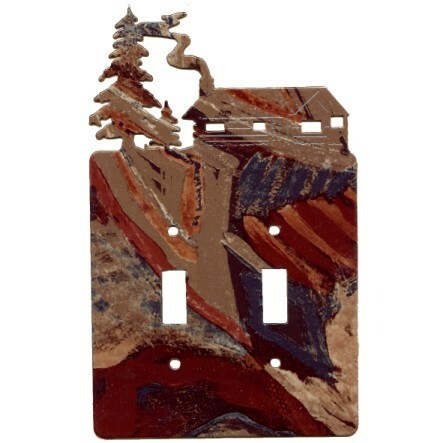 Finished on both sides these rustic cabin switch plates are reversible.